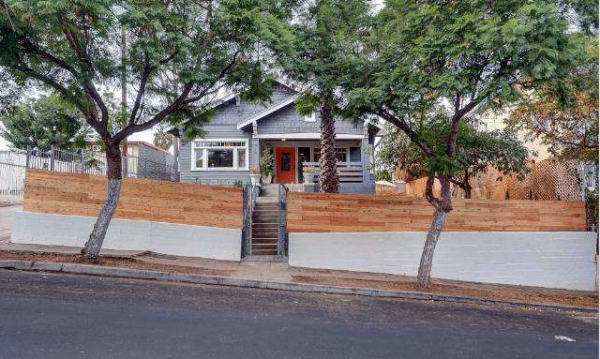 Just a couple blocks away from the still quasi-newly renovated Echo Park Lake sits 719 North Bonnie Brae Street. With a fair asking price of $669,000, this 3 bedroom, 1.75 bath home should find numerous takers. 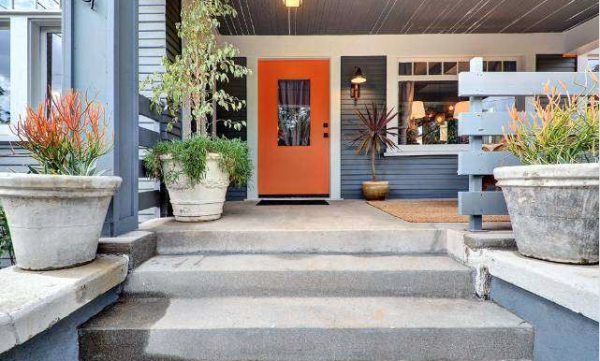 What immediately sticks out about this finely maintained California Craftsman is how meticulously well balanced the original period touches, and modern updates work together. 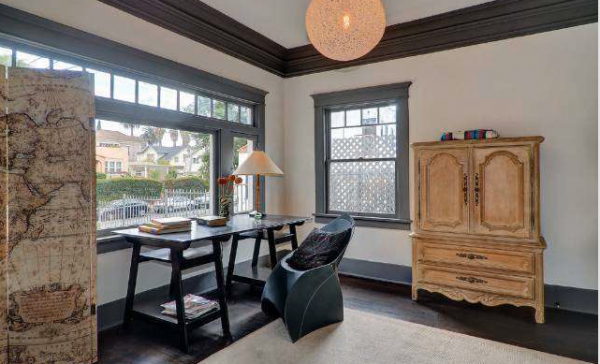 Stepping inside, you find original hardwood floors, built-ins, French doors, wainscoting and more. Behind the scenes, the home has been updated with central air and heat, along with a tankless water heater. 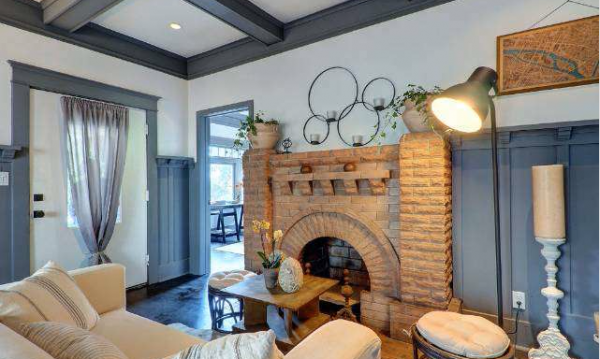 The stout brick hearth (sadly, just decorative) draws you in as the central focal point of the living room, and the heart of the home. Next to the fireplace is a second room, well suited as either an office/den or family room. The ceiling cove molding adds a nice touch of vintage detail. 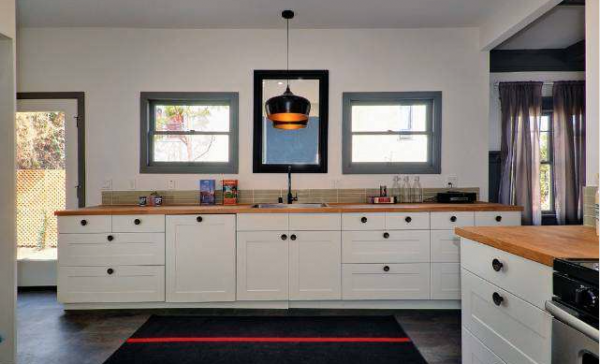 The kitchen is where one can see many of the more modern, yet well incorporated updates, including appliances, flooring and backsplash that come together to bring modern touches, and a clean, old meets new design. 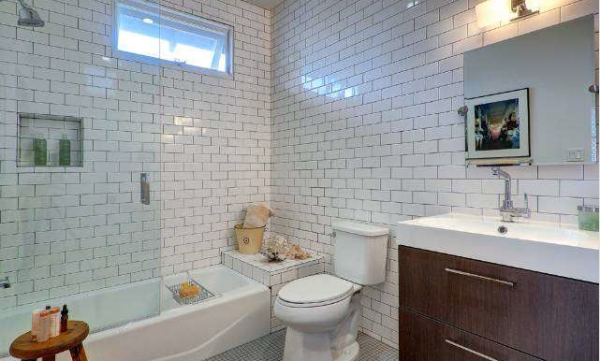 That theme continues in the bathroom where a plethora of tile merge with a modern shower and sink. 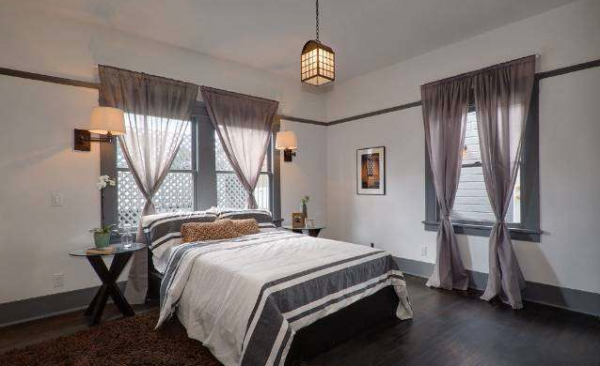 I would classify the master bedroom as more adequate than large, but does get its own bathroom. 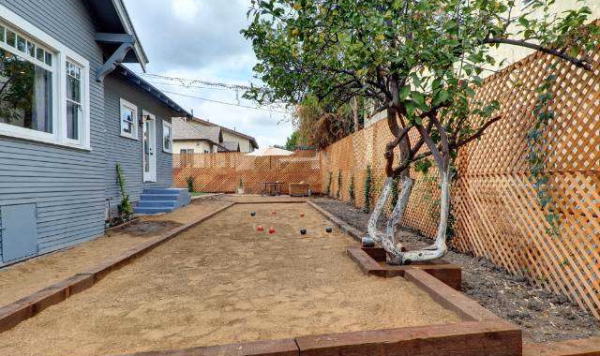 If there is one feature of this home that I found to be a truly unique surprise, it’s the bocce ball court. It’s a creative use of space, and certainly something I haven’t seen before. Though I am not sure what amount of maintenance goes into its upkeep, it seems like a welcome bonus. Thankfully, there is still extra room out back for a small yard and eating area. 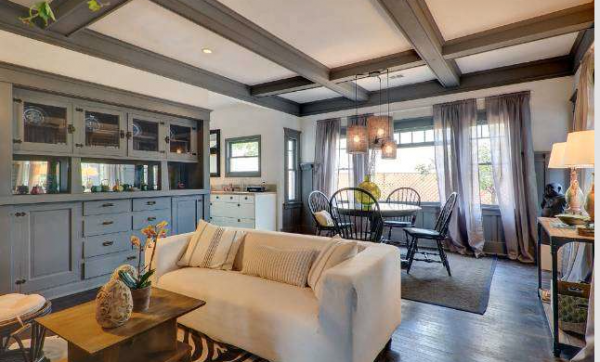 Overall, I find 719 North Bonnie Brae to be a carefully updated home with a lot of wonderful touches. 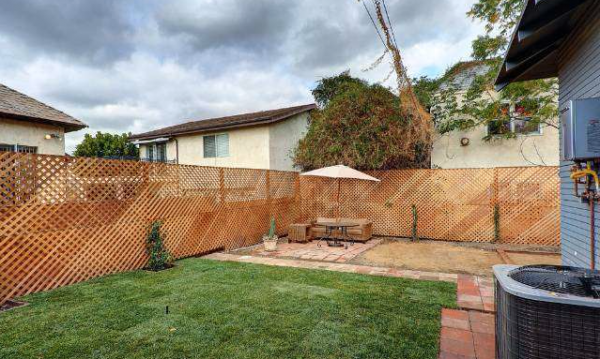 Laura Epstein of Silverwood Properties has the listing.